2017 was a banner year for SaaS. 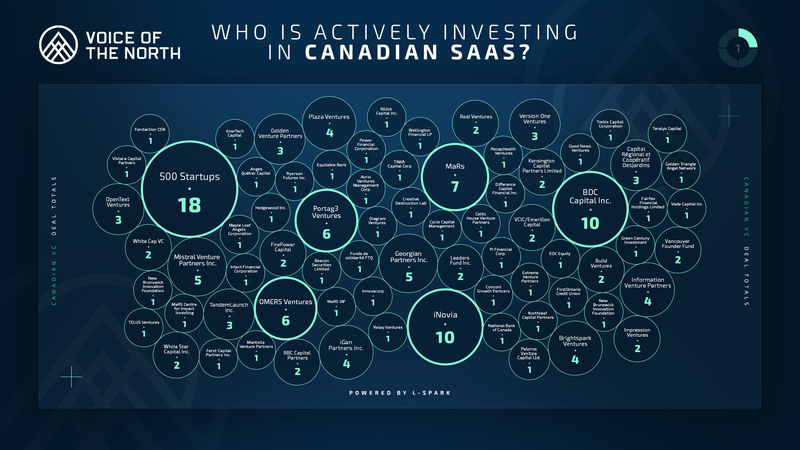 We saw $1.02B invested across Canada, specifically into SaaS companies, the Real Matters IPO happened in May, $50M+ raises by Wealthsimple, Tulip, breather, Ritual, Freshbooks, Borrowell, Visier, VisionCritical and ElementAI rounded out the year and we saw $743.1M in deals that involved outside investment, mostly from US investors. This year, AV, AI, machine learning, chatbots and cybersecurity were the definitive buzzwords but the industry that rose above the rest in the SaaS space, in terms of number of deals closed, was the marketing and sales vertical. Below, we’ve outlined a few snapshots from the full State of SaaS 2017 Report (compiled with the support of the CVCA) but you can download the full report here. Here’s what the investment profile looked like across Canada, sorted by province. 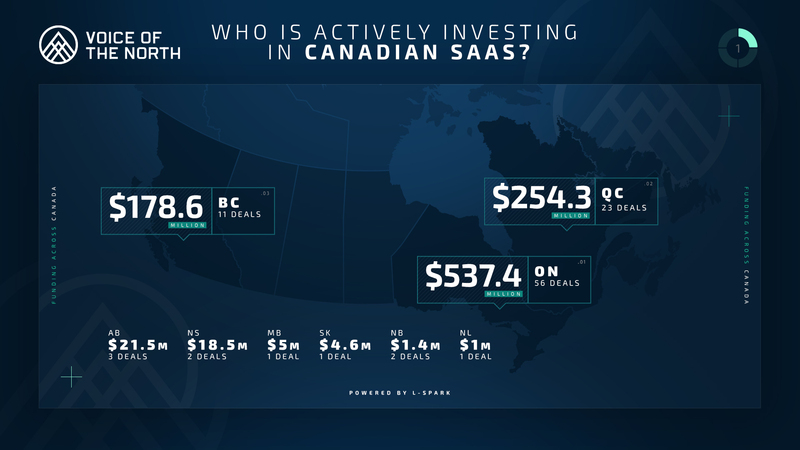 Interestingly enough, Ontario, Quebec and British Columbia owned most of the investments made but the other provinces had activity as well, which made for a very healthy year of SaaS-focused investment. As for the participating investors, here are the active investors and below, we’ve outlined the deals and who participated in each. 500 Startups, BDC Capital, iNovia and MaRs saw the most number of deals whereas other firms had fewer deals but in some cases, made larger investments. Acerta Analytics Solutions Inc.: OMERS Ventures Management Inc.
Blue J Legal Inc.: Mistral Venture Partners Inc.
Borrowell Inc.: Equitable Bank, FirstOntario Credit Union, Portag3 Ventures, White Star Capital Inc.
Drop Loyalty Inc: HOF Capital, Portag3 Ventures, Sierra Ventures, White Star Capital Inc.
FlipGive, Inc.: iGan Partners Inc.
Fluent.ai: 500 Startups, Creative Destruction Lab, Maple Leaf Angels Corporation, TandemLaunch Inc.
Innerspace: 500 Startups, BDC Capital Inc.
Klipfolio Inc.: Acadia Woods Partners, LLC, BDC Capital Inc., BOLDstart Ventures, Converge Venture Partners, Fundfire, Mistral Venture Partners Inc., OMERS Ventures Management Inc.
ProntoForms: Beacon Securities Limited, PI Financial Corp. Ritual: Golden Venture Partners, Greylock Partners, Insight Venture Partners, Mantella Venture Partners, Mistral Venture Partners Inc.
Serious Labs Inc: Brick & Mortar Ventures, United Rentals Inc.
Stratuscent Inc: Mistral Venture Partners Inc., TandemLaunch Inc.
Tasktop Technologies Inc.: Austin Ventures, AVX Partners, Yaletown Inc.
Click the banner below to download the full report. 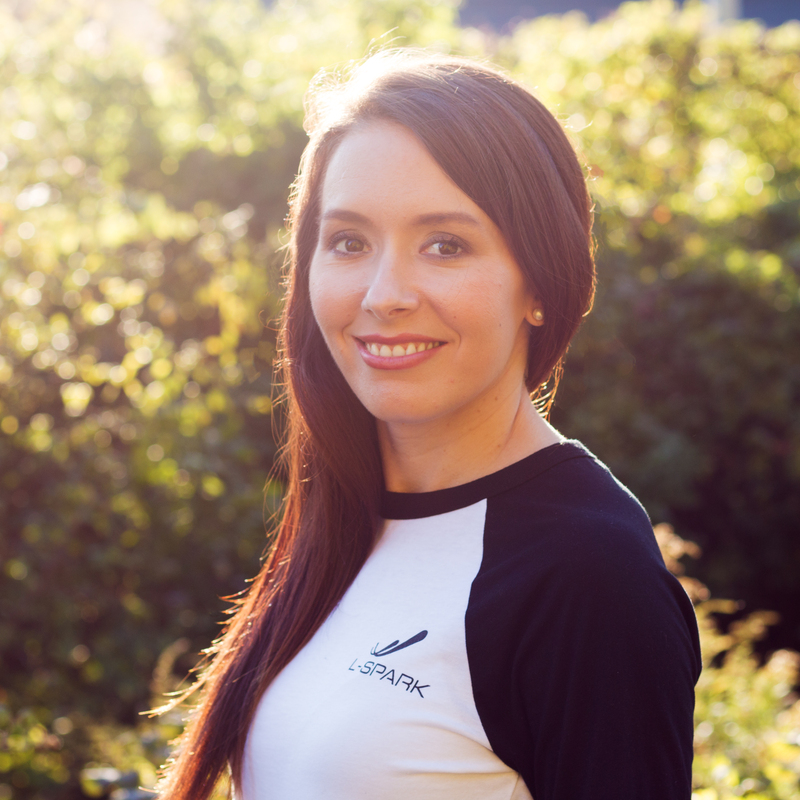 If you’re a member of the media and would like the opportunity to speak to one of our team members about the report, please get in touch with Community Manager, Erin Blaskie.